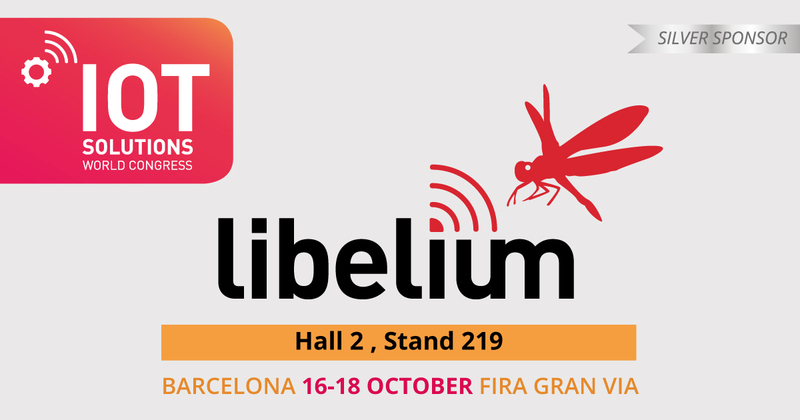 Libelium participates in IoT Solutions World Congress in Barcelona with The IoT Marketplace as the guest star of the booth. This online store currently offers more than 100 kits ready to be deployed, including hardware devices and software visualization, for different applications that improve the sustainability and competitiveness. The most demanded solutions exhibited revolve around monitoring different agriculture crops, water quality management, fish farms supervision, air quality control, applications for smart buildings and factories, fire and flood prevention, smart parking, among others. The IoT Marketplace allows customers to try solutions and visualize how to scale them in a cost-effective way. “While the hype of the IoT and the lack of integrated solutions discourages the investments and the fast adoption, The IoT Marketplace helps to prevent customers from getting lost while designing their IoT projects, choosing the right hardware and the cloud application in a simple process,” states Alicia Asín, Libelium’s CEO. In addition, The IoT Marketplace is the seed for the consolidation of a unified portfolio of solutions for the IoT market in which all members of the value chain can participate: from sensor manufacturers, through wireless communication protocols and gateways to cloud software service platforms. 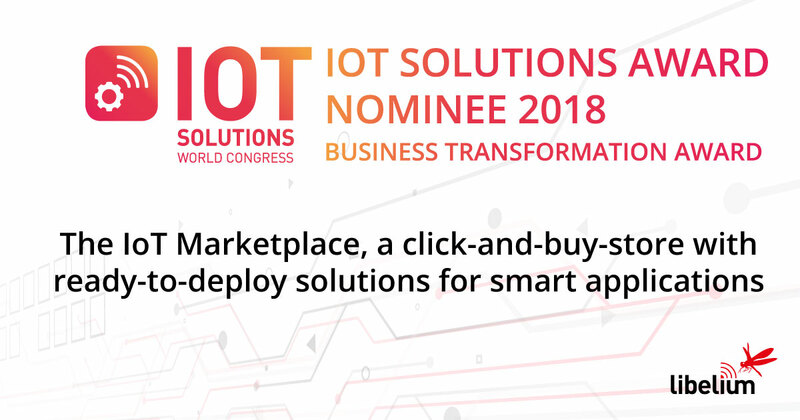 The IoT Solutions World Congress, to be held in Barcelona between the 16th and the 18th October 2018, is a unique event dedicated exclusively to join IoT providers with different productive sectors to increase their productivity via this disruptive technology. The Libelium stand stages the union of the physical and the digital world that the IoT technology currently allows to connect. With this aim, Libelium showcases 6 common urban spaces to set the 6 most outstanding technological solutions for smart water management, for precision agriculture, for measuring air pollution and noise levels in cities, for parking management, for measuring vehicles and consumer patterns in commercial areas and for e-health control. Smart Water. Aridea will show their solution based on their work managing the Belugas water quality with a buoy for offshore seawater. Smart Agriculture. Elmitel will be exhibiting one of the most demanded solution for vineyards monitoring. Smart Cities. Smart Data System, with the kits for smart villages, will demonstrate the latest applications for air quality index control and for gardens irrigation. Meshlium Scanner. The solution to scan devices implanted in malls, cities and buildings it will also have its space with Thingfarm. MySignals. eHealth is the new revolution and Libelium has its own proposal available to test the main health body parameters of our visitors. Libelium has been selected by IoT Solutions’ Jury to be present at the Testbeds area. This space offers experimentation platforms deployed and tested in an environment that resembles real-world conditions. 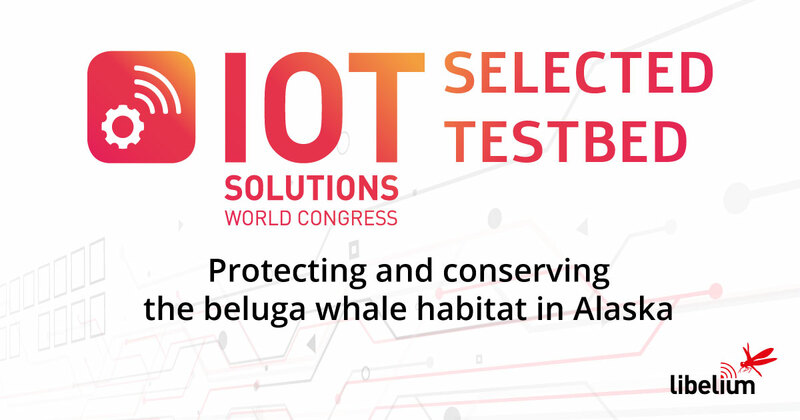 Libelium showcases its Smart Water Testbed titled “Protecting and conserving the Beluga whale habitat in Alaska”, a project developed in partnership with Aridea Solutions. Libelium presents the session “Interoperability and ecosystem cooperation: IoT water quality control in fish farms in Iran”. ASM, Libelium distributor in Iran developed a Smart Water sensor network to measure the water quality parameters of the fish farms. Having information about water quality parameters in fish breeding ponds offers the farmers the possibility to manage their installations in an improved and more effective way, accelerating their inner processes. Libelium and ASM, in collaboration with Loriot and Daliworks, have constructed the best example of an interoperability project as a result of its ecosystem based relationship: a system where all the members interact and depend on each other. On the project developed in Iran to monitor water quality in fish farms, Libelium is providing the first part of the value of chain, the hardware; Daliworks is providing the clouding; Loriot offers the network server for handling LoRaWAN connectivity; and ASM is providing the analytics, the local support ant the commercialization from the A to Z solution. This is a winning strategy based on the construction of a strong ecosystem. The IoT Marketplace competes with Huawei and Serimag as finalist of The IoT Solutions Awards in the Business Transformation Category. The IoT Marketplace has been selected for being a one-stop click-and-buy online store that offers fully integrated solutions, from hardware sensors to cloud applications, with the aim to speed up IoT adoption allowing the use in real projects with the minimum time to market. If you want to arrange a meeting there contact our Libelium Sales Department.